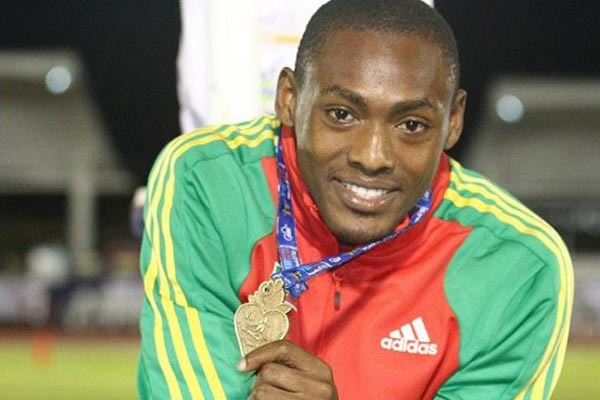 Basseterre, St. Kitts – Two of the top athletes from St. Kitts and Nevis will this weekend represent their country at the 15th IAAF World Indoor Championships, taking place in Poland. Those getting the nod of the Selection Committee of the St. Kitts and Nevis Amateur Athletic Association, SKNAAA, were Jason Rogers and Brijesh Lawrence, who will both compete in the 60m. The biannual championships will be held in the city of Sopot, from Friday 7th – Sunday 9th March 2014. Rogers, the defending NACAC Under 23 100m Champion and Record Holder, made his indoor debut in 2013. Since then, he has been making steady progress in the men’s 60m and is currently ranked at number (10) ten in the world for 2014. Lawrence is no stranger to the indoor circuit as he represented his college on multiple occasions. His accolade includes: NAIA National Champion (6 times), Doane College Record Holder in the 55m, 60m, 100m, 200m and 4X100m and (11) –Time All American. Both Rogers and Lawrence were members of the Male 4X100m Relay Team, that won bronze and silver respectively at the 2011 World Championships in Athletics and 2011 PanAmerican Games. Rogers and Lawrence are expected to arrive in Sopot on Wednesday 5th March 2014. The SKNAAA Executive Committee extends congratulations to Rogers and Lawrence on their selection.